It’s getting to that time of year again. Roasted chestnuts, warming brandy and some good old Christmas telly. As I snuggled in all my heavy winter blankets watching Love Actually last night, it got me thinking about Christmas romance. More importantly how best to bring the yuletide spirit into your wedding without it being too cheesy. Themed weddings can be so elegant, the key is subtlety. 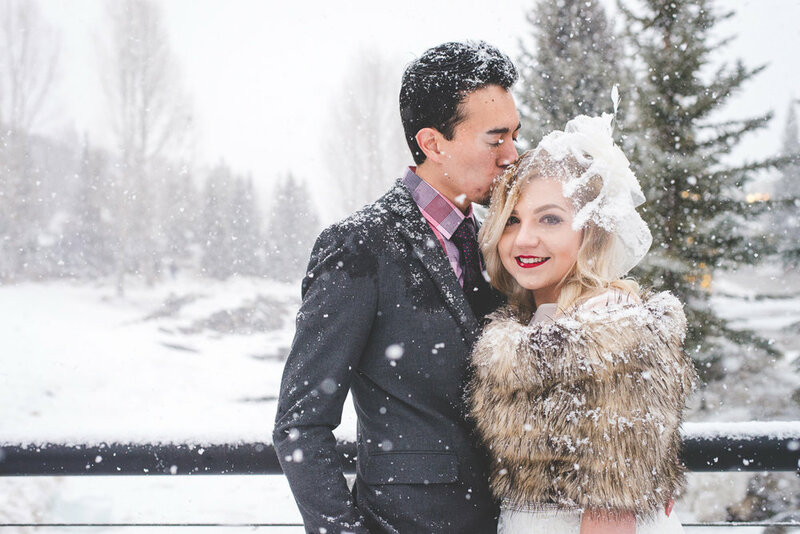 So here are my thoughts on what makes the perfect Christmas wedding. As always the first step is finding the perfect venue to suit you and your wedding theme. For a Christmas wedding, a picturesque frosty setting like the Gilpin Hotel and Lake House in Windermere would look great in pictures! But you don’t have to stick to a bricks and mortar venue. You can still have a marquee by the lakeside if you plan well. You can add in strategically placed heaters so guests don’t feel the elements and the twinkling lists from the floor to the ceiling will certainly make for a festive vibe. Simple, seasonal invites would set the tone of your wedding nicely! These snowy trees make very elegant stationery or perhaps you could have an artist draw you ‘walking in the air’ style for your save the dates. Make a grand entrance by riding to your venue on a horse drawn sleigh! It makes a great prop for photographs afterwards too. A twinkling ceremony room is a must for a Christmas wedding. I love the idea of having trees lining the pews; you can hang clear baubles with candles in them to add ambient lighting. 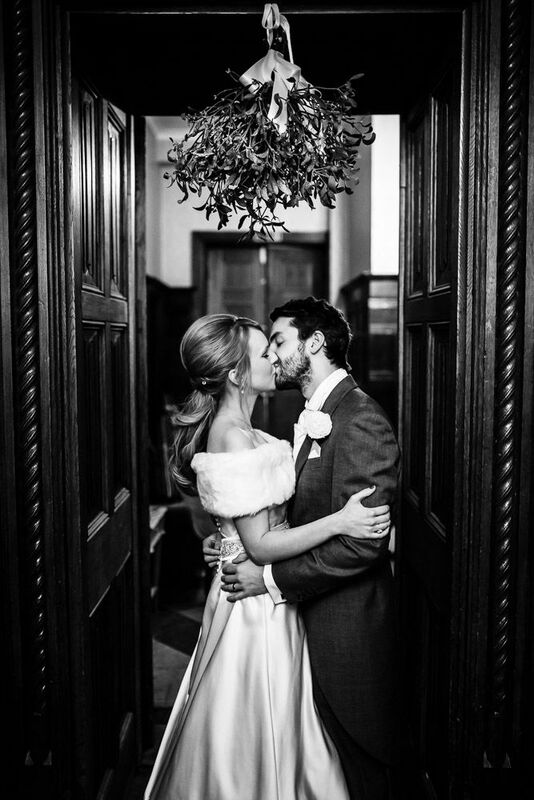 How about having your first kiss as husband and wife under the iconic mistletoe! Take that moment under a large ribbon-tied bunch or have your new hubby hold a sprig over you and hear the whole wedding party say ‘aww’. Dressing your maids in dark red with cream flowers would fit in nicely. 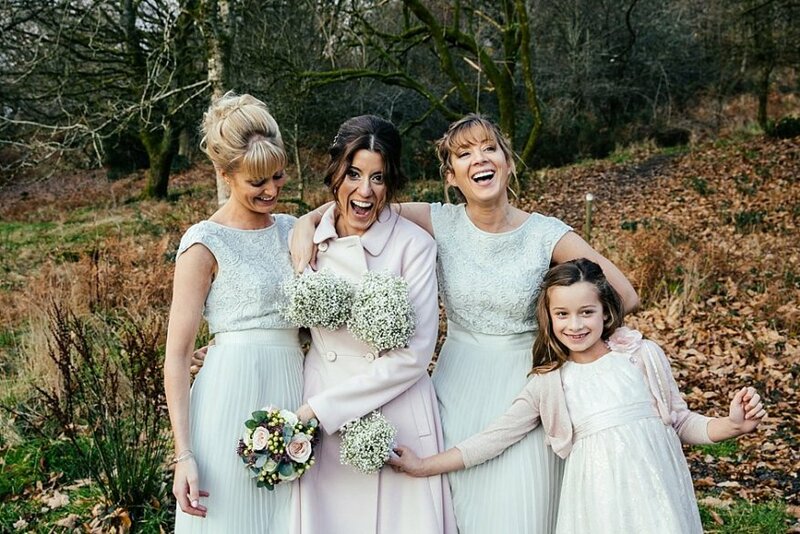 However, If you’ve been dreaming of a white christmas wedding, why not try a predominantly white colour scheme with pastel bridesmaids’ dresses, like blush or silvery blue with white flowers. 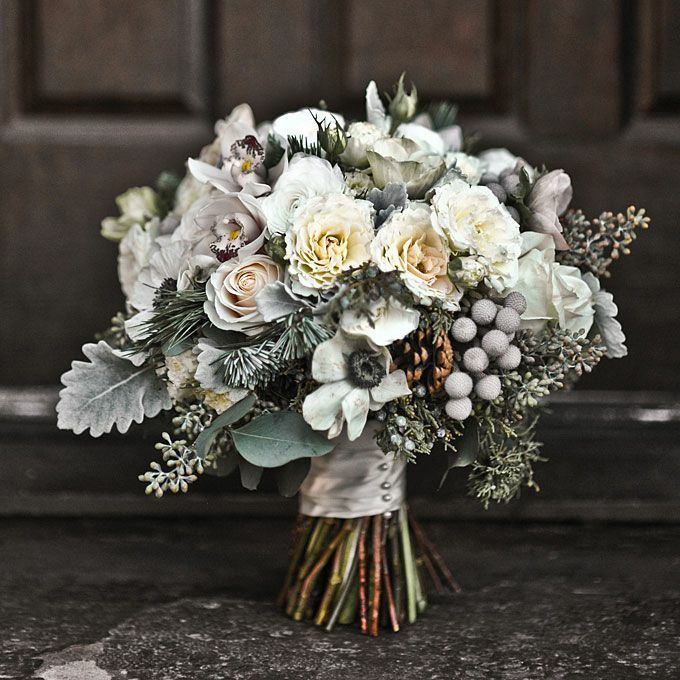 Winter bouquets have always been a favourite of mine. You can mix it up with white and blush roses, hypericum berries and twigs, or you can ditch the flowers entirely and go for a bauble bouquet! 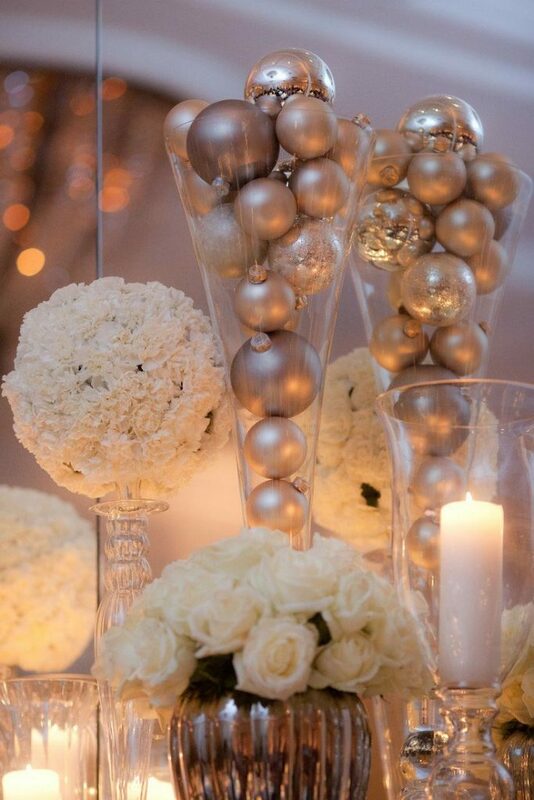 Speaking of baubles, they make great table centres! Because they come in all colours, finishes, shapes and sizes, they can reflect every possible winter colour scheme combination and you can arrange them however you want! Have them in a organised cluster on a display dish or arrange them in different sized vases to make ornate table features. 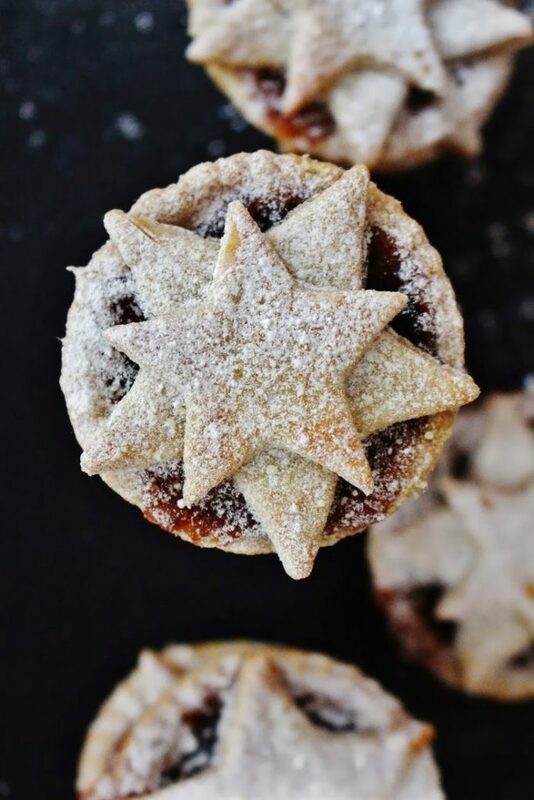 To keep your guests merry, why not offer them mince pies and warming hot chocolate or brandy for a drinks reception with a seasonal twist. 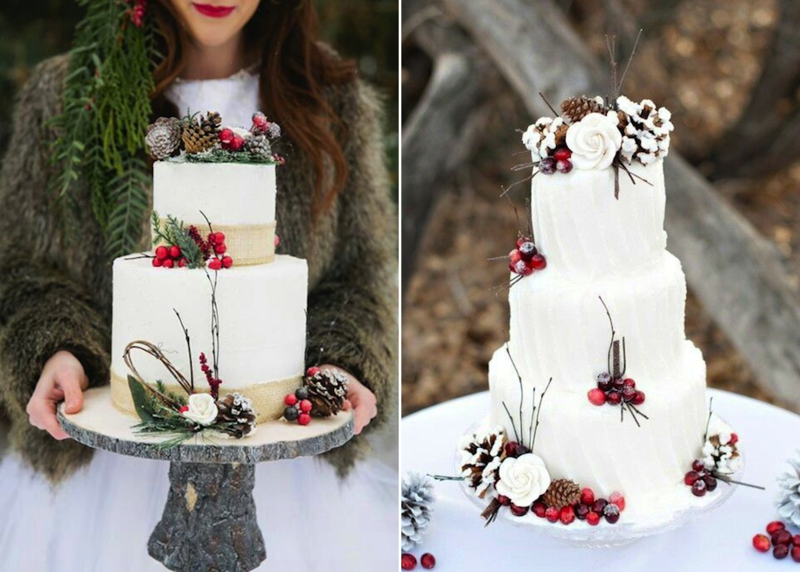 Twigs, cranberries, pine cones, holly and a light dusting of icing sugar can transform a normal white iced wedding cake into an elegant christmas pudding. And that’s it! Let us know on Twitter or Facebook what aspects of the wedding world you would like us to explore next!